A great read and I will definitely recommend this to a friend! In this story you have Brianna Reece, an FBI agent that’s been transferred from Chicago, IL to Denver, CO. A serial killer has been leaving an unexplained string of murders; killing only females, one month apart, and they all have been drained of their blood… Without puncture wounds, or signs of self defense from the victims. She and her new ever wanting to be “Ladies-Man” Special Agent Todd Morrison are assigned to hunt this psychopath down. Brianna happens to be gifted with having Empath powers.. She can take in and feel emotions from the people around her. I like how the author describes how this happens with Brianna, how it helps her know when people are being truthful or not, etc it’s really seemed helpful with her career as a FBI agent… Lupton does a great job with details of this, among other things throughout the book. Can I just say that I love this book?!? It has a great storyline, character build-up, humor (which is HUGE with me, I love a great sense of humor and author P.A. Lupton HAS it! ), romance, suspense, murder, and a little sadness thrown in the mix to have you identify with the Heroine thru her journey of becoming everything she was born to be. 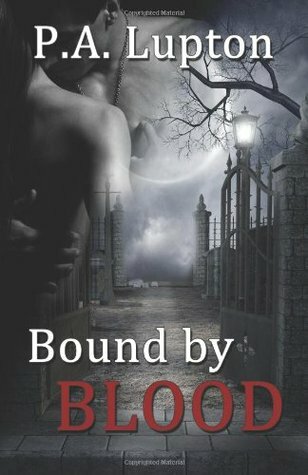 All written with a fantastic Paranormal-Finesse.Great way of describing both light and dark vampires, and how the light are able to go out in direct sunlight as opposed to the dark, who cannot. I really like her concept with this. I love how the Author throws in some X-Files quips (loved that show!). Agent Reece and Agent Morrison even had that Mulder and Scully feel going on there after a while, they were so in tune with each other. Lastly all I can say is wait until readers get to Chapter 17. There really aren’t any words for how funny a scene in this chapter is, it just had me laughing hysterically and I can’t wait for others to read and get in on the fun this book has to offer. I’m just going to say, “Table Talk” and that’s all.